As part of the overall Sound Waves project, 38 sound artists from around the world have submitted a field recording and re imagining of water somewhere in the world: ocean, river, lake, stream, swimming pool, boiling kettle, splash of a puddle – anything in which water is the defining sound. 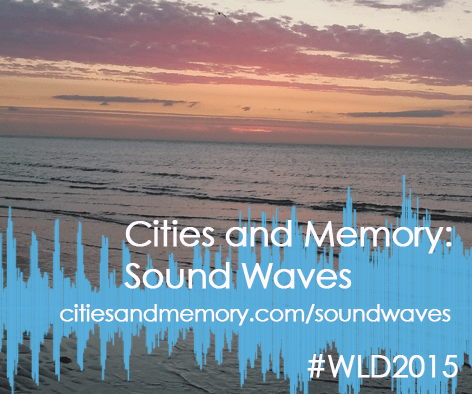 These reimagined sounds have been recomposed and re-edited by Cities and Memory into this 30-minute mixed sound piece incorporating many of the sounds in a new context. This final piece presents a collective curated reimagining of the sounds of water from artists around the world in one piece, a shared reflection on water and the role it has in our lives. By capturing the sounds of water and recontextualising them, we can examine our own relationship with water as it surrounds us every day. Posted in Academic Music, Avant Garde, Chameleon Music, Composing, Composition, Experimental, Mark Taylor, music, Music History, Musicology, Original Music, Professional, Sound Design, soundtrack.Tagged academic music, Alchemy VST, Ambient, art music, atmospheric, B14, Birmingham, Camel Audio, Chameleon, Chameleon Music, chameleonmusic, chilled, Cities and memory, classical, composer, composition, Sound Design, sound designer, Soundscape, Soundtrack.